This was one of a pair of hand cymbals. 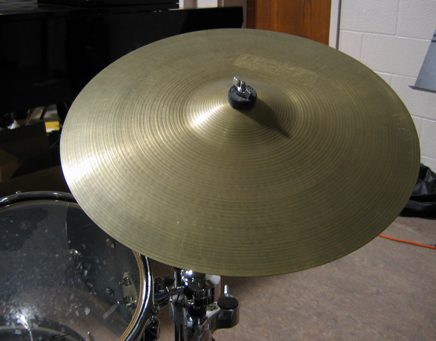 Makes for a really nice, very sparkly-sounding ride cymbal with some nice body to it. Nice sensitivity, especially towards the very edge. Courtesy of Bob Reid.